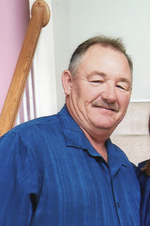 Obituary for Kenneth Dale "Kenny" French, Sr.
Kenneth Dale French, Sr. “Kenny” 55 of Mechanicsville, MD passed away on April 4, 2019 in Mechanicsville, MD. He was born on January 23, 1964 in Clinton, MD and was the loving son of the late Peggy Parrett French and James Milton French, Sr. Kenny is survived by his wife Sherri Lynn French, whom he married on May 4, 1985 in Hughesville, MD. Kenny is survived by his children Kenneth Dale French, Jr. (Fiancé, Melanie Thompson), of Mechanicsville, MD, Christina Marie Williams of Culpepper, VA, grandchildren, Lily Cornell, Haylee French, and Abby Reite. As well as siblings James French (Vicki), Tim French (Cheryl), and Steve French (Pat). Along with numerous nieces, nephews, cousins, other relatives and friends. He graduated from Thomas Stone High School in 1982. Kenny worked for Genon Energy in Aquasco, MD as a Heavy Equipment Operator for 37 years. Kenny was a loving husband, father, brother, friend. He enjoyed spending his free time with his family, especially his granddaughters. He enjoyed prospecting for gold and being the designated driver for hunting trips. He also enjoyed watching NASCAR. The family will receive friends on Wednesday, April 10, 2019 from 5:00 PM to 8:00 PM with prayers recited at 7:00 PM in the Mattingley-Gardiner Funeral Home Leonardtown, MD. A Funeral Service will be held on Thursday, April 11, 2019 at 10:00 AM in the Funeral Home Chapel with Pastor Aaron Rummage officiating. Interment will follow in Charles Memorial Gardens Leonardtown, MD. Serving as pallbearers will be Timmy French, Jeff French, Monte French, Scottie Dennis, and Jerry Lamoria. Honorary Pallbearers will be Bob Mika and Tommy Grove. Contributions may be made to the Mechanicsville Vol. Fire Department P.O. Box 37 Mechanicsville, MD 20659. To send flowers to the family of Kenneth Dale "Kenny" French, Sr. , please visit our Heartfelt Sympathies Store.